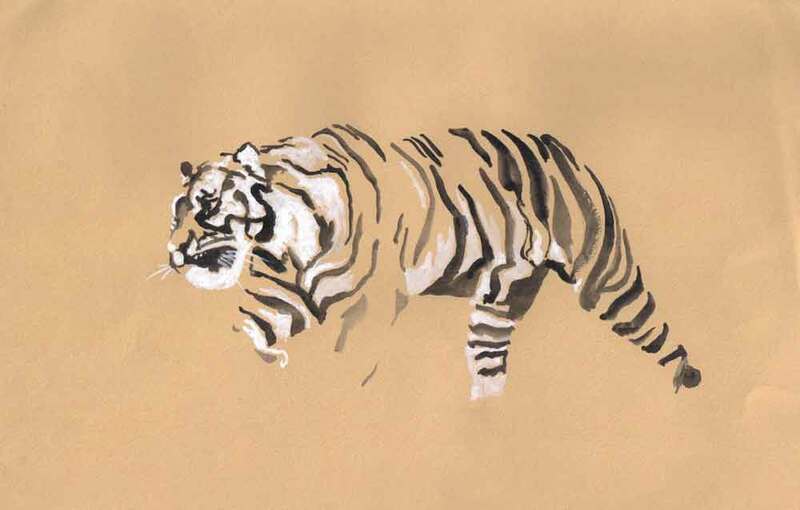 A few months ago I went to Edinburgh Zoo, and I am still working my way through using the photographs as reference - there is something about drawing animals which I love. The Tiger, however, was not happy that day as the other tiger had been quarantined. This meant they were both pacing about at either side of a fence - and it was difficult to get a good shot of either. He was so handsome though that he could not remain undrawn!